In the wake of the first and second world wars a new European monetary system was formally established at the Bretton Woods Conference held in 1944. Agreement was reached amongst the western rulers of the world on a monetary system in which only one currency, the US dollar, would be redeemable in gold (at the rate of $35 per ounce of gold). All other currencies in the world would have their value determined in relation to the US dollar. Secondly, only governments, through their Central Banks, could redeem dollars for gold. Ordinary people who would be required to use paper currencies, could not redeem any currency for gold. An institution known as the International Monetary Fund (IMF) would be established and each member State of the IMF would be required to deposit with the IMF 25% of all gold reserves that the State possessed. Our Islamic analysis of this strange new monetary agreement can be found in our book on ‘The Gold Dinar and Silver Dirham – Islam and the Future of Money’. Even though these monetary arrangements constituted, in our Islamic religious terminology, Bid’ah (or religious innovation) as high as a mountain, and even though the blessed Prophet (sallalahu ‘alaihi wa sallam) had declared that all Bid’ah leads to hell-fire, it still escaped, and continues to mysteriously escape, the attention of the world of Islamic scholarship, including my persistent critics, the short-sighted Salafi Bid’ah brigade. These provisions were in reality quite flimsy and gave the false impression that the new monetary system was somehow anchored on gold. In fact, gold that was deposited with the IMF functioned merely as a means through which States could seek loans on interest (backed by something of value) from the IMF. More importantly, to the extent that member-States faithfully complied with the requirement of depositing that gold, the IMF would know the extent of gold reserves of each member-State. This was further assured through a requirement that member-States must report to the Fund all sales and purchases of gold. Why would the US-controlled (and hence Zionist-controlled) IMF be so interested in knowing the quantum of gold reserves in the possession of all countries in the world? Islamic scholarship never cared to even ask that question. What was not disclosed however was that the US dollar would remain redeemable in gold only for as long as it was convenient for the US government to honor the legal obligation to do so. And just as ominous was the other possibility that if the US government could renege on its legal obligation to redeem US dollars for gold under the Articles of Agreement of the IMF, it could also refuse to repatriate 25% or more of the world’s gold stored in USA in accordance with IMF requirements. Let us pause for a moment to remind those who are unaware, that the US government has already abandoned its legal obligation to redeem US dollars for gold, and now refuses to even audit gold belonging to the rest of the world, that is stored in USA. Strangely and mysteriously, the use of gold as money was prohibited in the Articles of Agreement of the IMF. Nowhere was an explanation offered for this strange prohibition. Conveniently so, no one asked for an explanation – not even the scholars of Islam. 2. 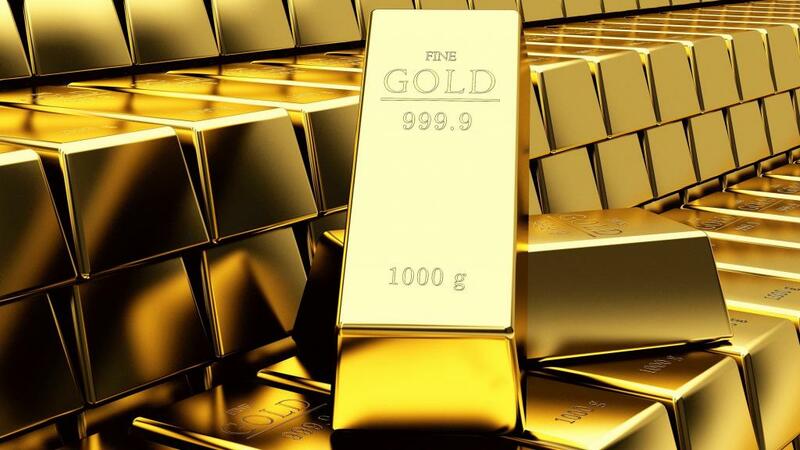 To ensure that gold belonging to the rest of the world, but stored in USA, would remain undisturbed in US territory until the time arrived when the monetary system of paper money collapsed and the world returned to gold as money. At that time the legal prohibition of the use of gold as money would be removed, and gold stored with the Zionist-owned and controlled Federal Reserve Bank in NY, could then be secretly and illegally transferred to Israel (the transfer may already have taken place) so that Israel’s rule over the world of money might remain unchallenged and unchallengeable. The gold stored in USA would remain largely undisturbed since there would be no reasons for a member State to seek to repatriate its gold. What would they do with their gold, other than keeping it as a store of value? It could not be used as money. 3. Once the member-States of the IMF had deposited 25% of their gold reserves with the IMF (i.e., with USA) and member-States had begun to take IMF loans that were secured by that gold, it would then be possible to encourage them to store more and more of their gold reserves with the IMF. If they held on to their gold, they could not use it in any way that would benefit them. And so this provision of the Articles of Agreement opened a way for USA to eventually be entrusted with storage of most of the gold reserves of the world. It is absolutely amazing that the world of Islamic scholarship never responded since 1944, and up to this day, to the IMF Articles of Agreement, to point out that Allah Most High made the use of gold as money Halal; and that whoever makes Haram what Allah has made Halal, has committed the ultimate sin of Shirk (or blasphemy). In addition, whoever accepts and follows that act of Shirk, himself commits Shirk. (See Qur’an, Surah al-Taubah, 9:31). Hence the entire monetary system that was controlled by the IMF was based on Shirk, and all of mankind who used the IMF monetary system have also committed Shirk. It is also amazing that the world of Islamic scholarship failed to recognize that since ‘money’ in the Qur’an and Sunnah was always money with intrinsic value, that it was a manifest abandonment of Qur’an and Sunnah that ‘money with intrinsic value’ should be replaced by Zionist IMF-money with no intrinsic value. In addition, one of the important functions of the IMF was to provide loans on interest to member-States. These loans would be provided from funds deposited with the IMF by such major contributors as USA. Gold deposited with the IMF could also be used to secure IMF loans. The monetary system thus provided for at least one use for gold. But Allah Most High had prohibited money being lent on interest. In lending money on interest, the IMF had become a money-lender with whom Allah and His Messenger were waging war (see Qur’an, al-Baqarah, 2:279) and who, in addition, had the curse of Prophet Muhammad (sallalahu ‘alahi wa sallam) upon it. Despite all of the above, a strangely silent world of Islamic scholarship saw nothing, and did nothing, to warn Muslims of this great danger, and to prevent Muslim membership in the IMF. Despite their impressive Ijazahs in numerous branches of knowledge, the scholars of Islam failed miserably when Dajjal the false Messiah tested them with this monetary test. In fact the only challenge to the new international monetary system that emerged within the first 25 years of its existence came from France, which belatedly realized the flimsy role of gold in the monetary system. In addition to its lack of integrity, the monetary system was increasingly functioning in a manner that was unfairly advantageous to USA, and France had serious objections to such blatantly unjust advantage. The French began to make efforts in the early 1960s to restore to gold a central place in the monetary system. Among the things that the French did was to resort to redeeming US dollars for gold at $35 an ounce. The Vietnam War provided France with an additional reason for seeking a change in the Bretton Woods monetary system. Like all other member-States, USA had to deposit 25% of its gold reserves with the IMF. In doing so it provided member-States with information of the extent of its gold reserves. USA was under a legal obligation to redeem US dollars for gold at $35 an ounce. Hence it was illegal and immoral for USA to issue more paper US dollars than could be redeemed for US gold. That is precisely what the US government did in order to finance the Vietnam War. France responded to this illegal and immoral conduct by demanding a devaluation of the US dollar through a change in the price of gold. The French challenge to the system finally paid off when a weakened USA, forced to finance the Vietnam War through printing more and yet more paper dollars, could no longer withstand the French pressure, and was forced in August 1971 to renege on its legal obligation to redeem dollars for gold. Did the world of Islam use the opportunity that was presented by the collapse of the Bretton Woods monetary system to articulate an Islamic conception of money and of a monetary system? No such thing occurred. Other than the publication of Umar Chapra’s ‘Towards a Just Monetary System’, the world of Islamic scholarship remained mysteriously silent. Nor were the French able to grasp the opportunity presented by the collapse of Bretton Woods to lead an effort for the establishment of a new and better monetary system. Instead, within just two years of the collapse of Bretton Woods, the Americans pulled a rabbit out of the bag and stunned the world, in the wake of the October 1973 Arab-Israeli war and the simultaneous Arab oil embargo on USA, with the surreptitious establishment of a stunningly cunning petro-dollar monetary system.